An employee at George Soros’ West Chester County residence in New York State opened a package delivered that contained a pipe bomb with black powder on Tuesday. In addition, Bill and Hilary Clinton received a similar explosive device in a letter sent to their suburban New York residence. The Obamas were also targeted, but their package was intercepted by the Secret Service. Mr. Soros is a billionaire, philanthropist, and has supported the Democratic party. He has previously been a target of far-right groups and conspiracy theorists. A mail technician found the Clinton pipe bomb during their mail screening process. The FBI opened an investigation, but have not stated that all of the cases are related. Can you fit a Pipe Bomb in a Letter? These pipe bombs contained black powder and came in a regular 8×10 letter. No one was harmed in any of these instances this time, but it has happened in the past. 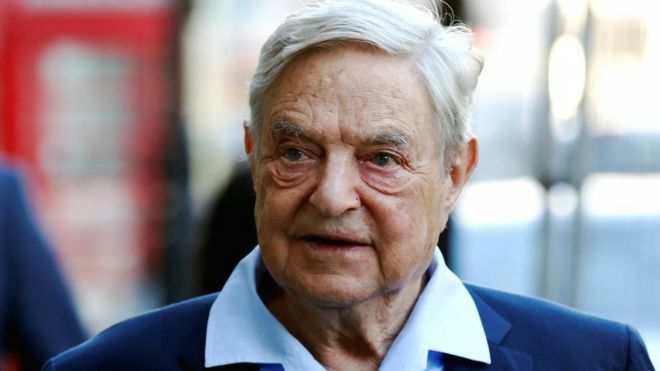 The person who received the letter for George Soros did open the letter. This breaks one of the most basic rules about mail room security. If you do receive something suspicious, you don’t open it. One of the easiest ways to stay secure in the mail room is to be aware of your circumstances. A person who is an outspoken political activist can easily be a target for mail-borne threats. In contrast, the Clinton’s mail technician was smart not to open the letter, likely a result of good mail security training. An organization can be a target just as easily as an individual. Especially when it comes to political issues, the people who want to cause chaos and harm could do so with any target. Typically only government organizations that have more advanced mail room detection policies. Previously, smaller organizations may not have the ability to spend as much on that level of security. Today, there is safe, accessible, detection technology that can prevent these events. Mailroom security is no longer afforded to government agencies only. You don’t need to be a high profile target such as a billionaire or a politician to take an interest your mail room security. Unfortunately, anyone who takes a public stance on issues is a target, specifically in the media. No matter the scope of your physical security plan, these events remind us that the mailroom is a major weak point for attacks. Any mail room threat will cause damage through injuries, unwanted publicity, employee turnover, or economic damage from shut downs. Unfortunately a simple letter and a small bit of powder can cause a high level of terror.